Fresh Asparagus are in town! One of the unique plants that have distinct male and female versions! 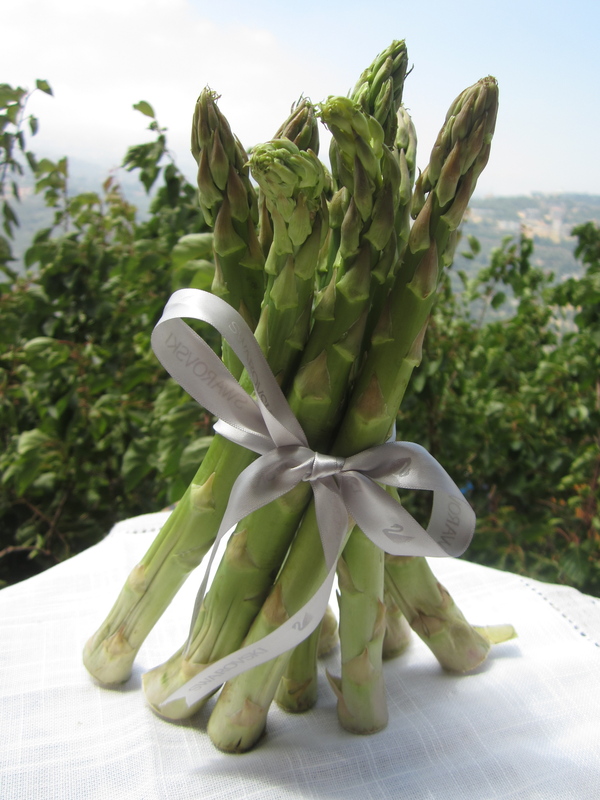 A cup of cooked asparagus gives you 3.6g of fiber for only 40 calories! In addition to other nutrients such as B Vitamins, Folic acid, Vitamin K, Rutin, and the flavanoid quercetin that has anti-inflammatory and cancer fighting properties! Ready to enjoy them ? Simply boil them “al-dente” and add them to this delicious low fat omelet! Whisk two whole eggs and three egg whites and place the mixture in a pan using cooking spray. Egg whites are fat free and contain most of the proteins whereas egg yolks contain all the fat and cholesterol in addition to many important vitamins and minerals! The smart trick with eggs would be to substitute one whole egg with egg whites in order to provide the same volume with less calories and fat ! 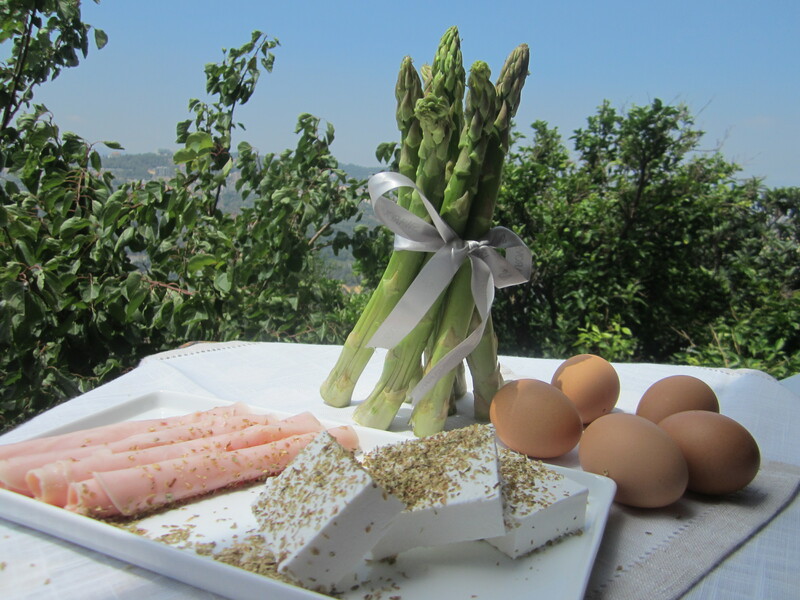 Once cooked, spread 30g of feta cheese, add two slices of turkey and asparagus and roll it! 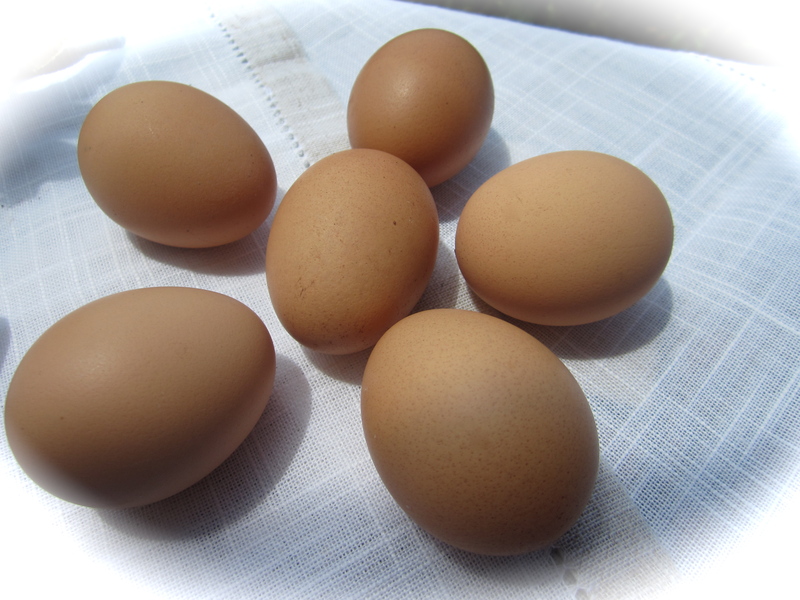 In ancient times, an egg was mainly compared to the sun and since the sun has always been compared to a source of life, the egg has been associated to both, birth and fertility. This is the reason for which, Christianity, used eggs during Easter, as a symbol of re-birth that connotes the Christ’s resurrection. In France, during the 17th century, the bride used to break an egg when she first enters her new home as a ritual to keep her house alive and to be able to give birth to lots of new souls.In Iran, the bride and groom exchange eggs as a symbol of exchanging an entry to a new life. Whereas, in the German territories, people used to smear their hoes with eggs, with the hope of bringing them back to life.In many Chinese and Asian tribes, the eggs were used to predict the future.The first technique consisted of painting the eggs, boiling them and then reading the patterns in their cracks and the second one was known as Oomancy and consisted of dropping the egg whites in hot water and to base divination on shapes assumed by the rapidly cooked egg whites. Eating an egg per day has long been a controversial issue.However, a recent study conducted by scientists at Harvard, didn’t find a relevant link between eating an egg per day and developing cardiovascular diseases. On the contrary, it has been proven that the egg yolk encloses a substance called Lukine that protects against heart diseases. Therefore, healthy adults can enjoy eating two eggs twice per week!